Get ready to “pig out” at Disneyland Resort, as the annual Lunar New Year celebration has returned to the Disney California Adventure theme park, in commemoration of the Year of the Pig! As always, the colorful and jubilant festivities include live entertainment, arts and crafts, Asian-inspired decor, delicious authentic-style cuisine, and themed merchandise centered around this multicultural festival, which lasts over three full weeks. 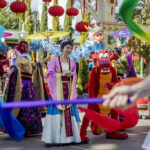 Among the major highlights of Disney’s celebration of this holiday observed by Chinese, Korean, and Vietnamese cultures is “Mulan’s Lunar New Year Procession,” a bright and bold parade hosted by the titular Mulan and her faithful dragon Mushu, which is now hosted in a more centralized main performance space along the California Adventure’s Paradise Bay. 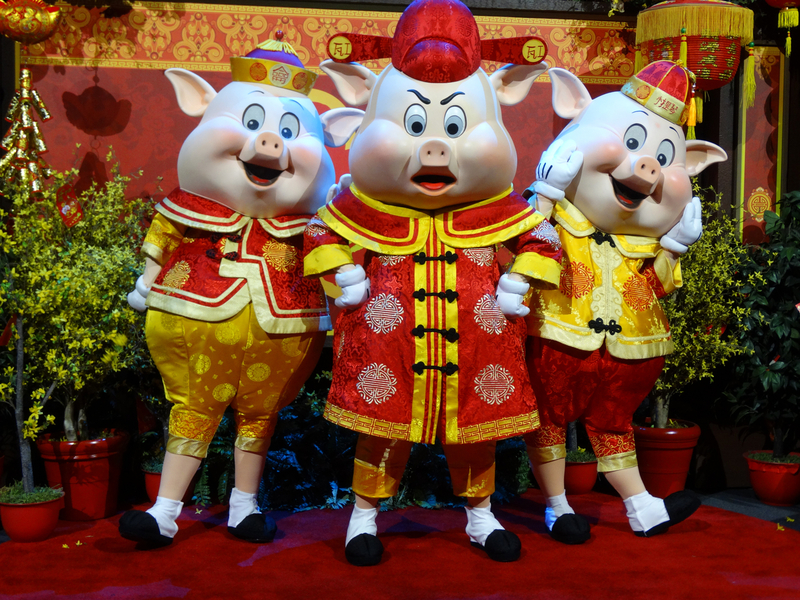 Joining the procession this year are the Three Little Pigs, along with the returning Goofy in his “god of Good Fortune” attire and Chip ‘n’ Dale in their traditional red vests. 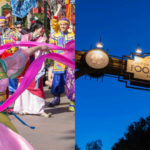 Last week Disneyland Resort held a media event detailing the many food, music, and entertainment options available around Disney California Adventure during this year’s Lunar New Year celebration. 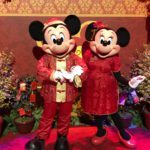 In the video below, you can see the park’s general manager Gary Maggetti, creative entertainment show director Carla Carlile, and resort ambassador Justin Rapp give an overview of everything guests can expect during their Lunar New Year visit. Next up, Disneyland Resort food and beverage culinary director Chef John State presents a breakdown of some of the must-try menu items from the four Asian marketplace locations– Longevity Noodle Co., Lucky 8 Lantern, Prosperity Bao & Buns, and Red Dragon Spice Traders– as well as the special Lunar New Year menu at Paradise Garden Grill featuring delicious dishes inspired by traditional Asian fare. Speaking of Paradise Gardens, daily live performances by talented artists like Vietnamese musician Dat Nguyen entertain guests as they enjoy their food in the seating area, try their hands at crafts such as calligraphy, paper lantern making, and face painting, or add their wishes for a wonderful future to the Lucky Wishing Wall. 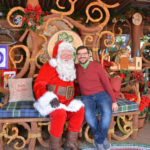 Finally, I had the terrific opportunity to speak with Disneyland Resort representative Mirna Hughes about the 2019 Lunar New Year celebration, and she clued me in to everything going on around Disney California Adventure this time of year, including which famous characters guests might be able to spot (or even meet) during their visit. 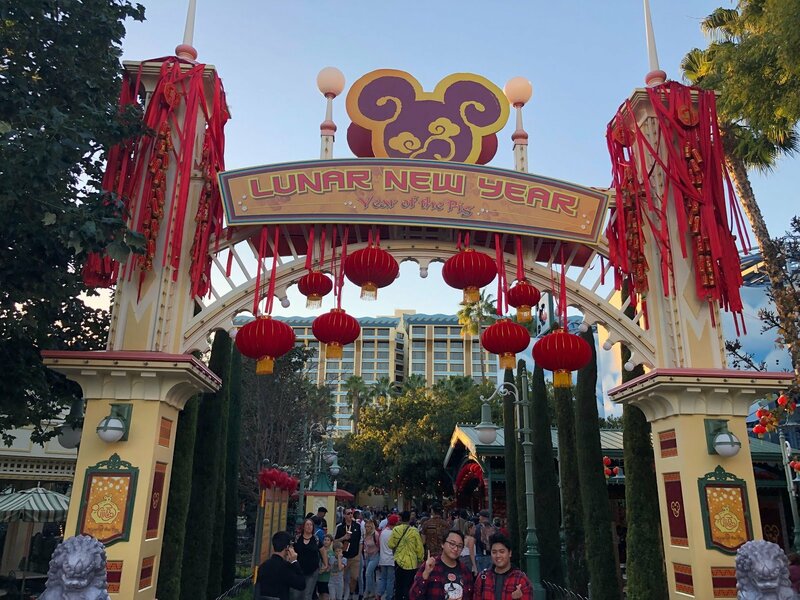 Disney California Adventure’s Lunar New Year celebration runs from now through Sunday, February 17 at Disneyland Resort in Anaheim, California. For more information and advance ticketing resources, be sure to visit Disneyland’s official website.